I love the high tea sets at Tian Fu Tea Room because i get quality variety and i wouldn't have to stuff myself as well. 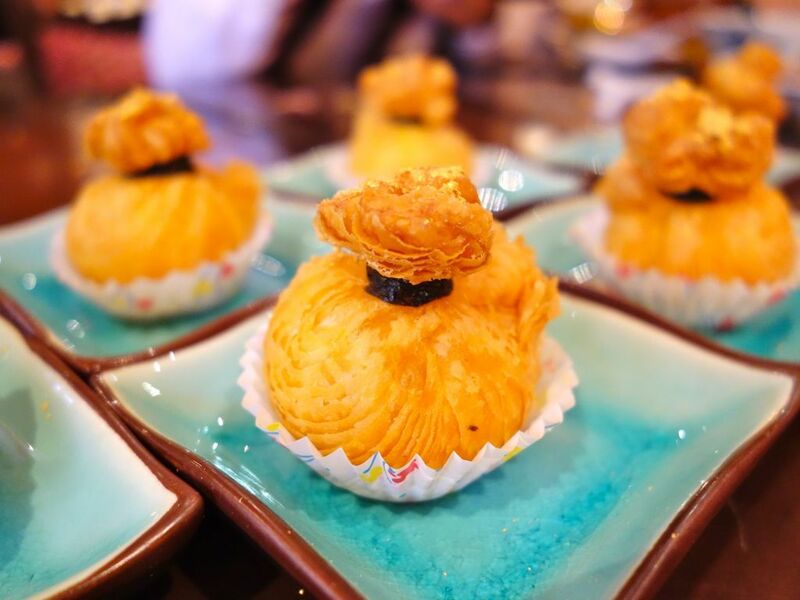 For $32 per pax, you'll enjoy free flow tea (which is paired with the dimsum) and 9 dimsum items (which includes 1 rice or noodles dish). 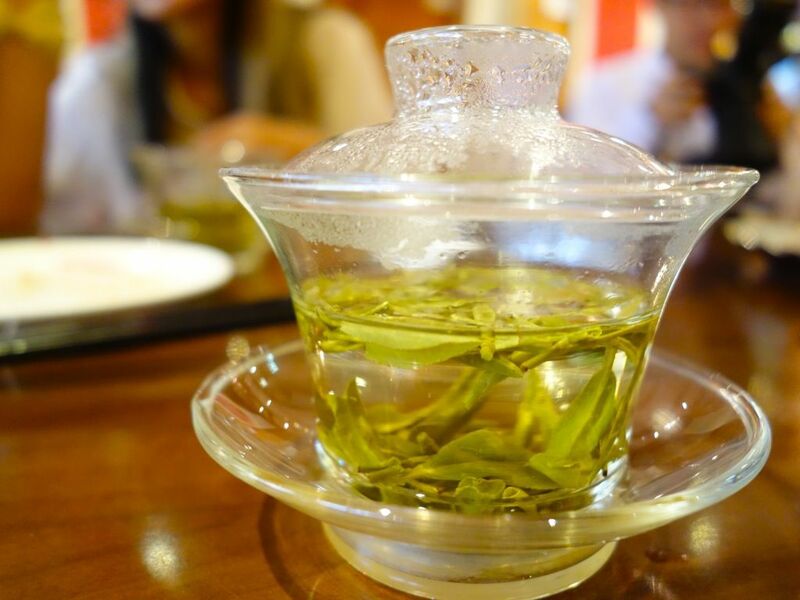 We started with a light Long Jing (Green Tea) which complements the next couple of dishes nicely. 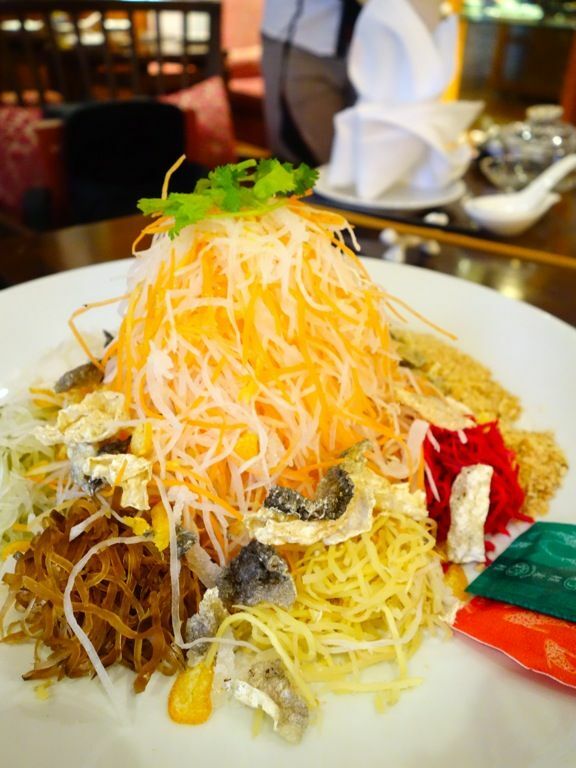 The Prosperity salmon yusheng with crispy fish skin is served regardless of the number of diners. So even if you're dining alone, you'll be able to toss your way to great wealth this year. This is the most balanced yusheng i've had in 2015 and it had the right amount of sweetness and tartness. And i never thought i'd say this but that crispy fish skin was so dayum addictive. Next appetizer was the Salted egg wrapped with sliced duck. This is a Sichuan 家常菜 that takes a lot of effort to make. Tender young duck meat is first marinated in Chinese wine and spices for hours before it's made into a roulade with a salted egg yolk center and steamed. The salted egg yolk overpowers the meat flavor a little and gives it a slightly dryer and coarser texture but when you eat the meat on its own, you'll taste the light sweetness. The Grilled spicy eel with Sichuan pepper sauce was another crowd pleaser. 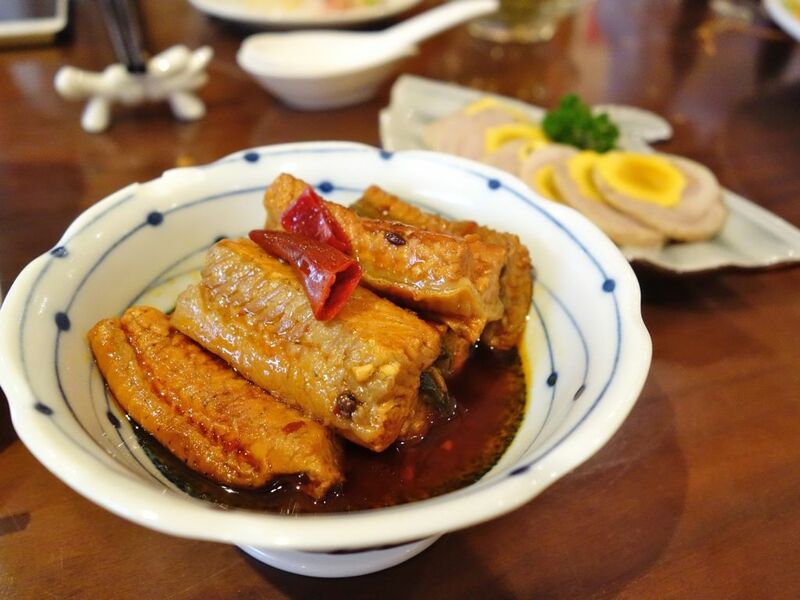 Such tender meat in the fragrant and spicy pepper sauce. Someone hand me some rice please! 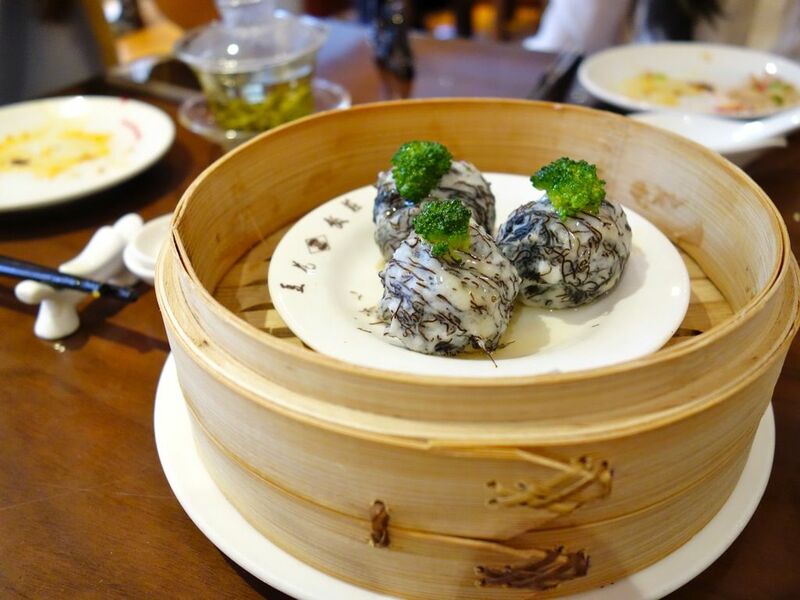 Next was the Steamed fish balls with black moss. Well, not all fishballs are made equal and these were a cut above the rest. Black moss 发菜 is a must during cny and even though it didn't add any flavor to the fresh briny balls, it gave the dish an added texture. 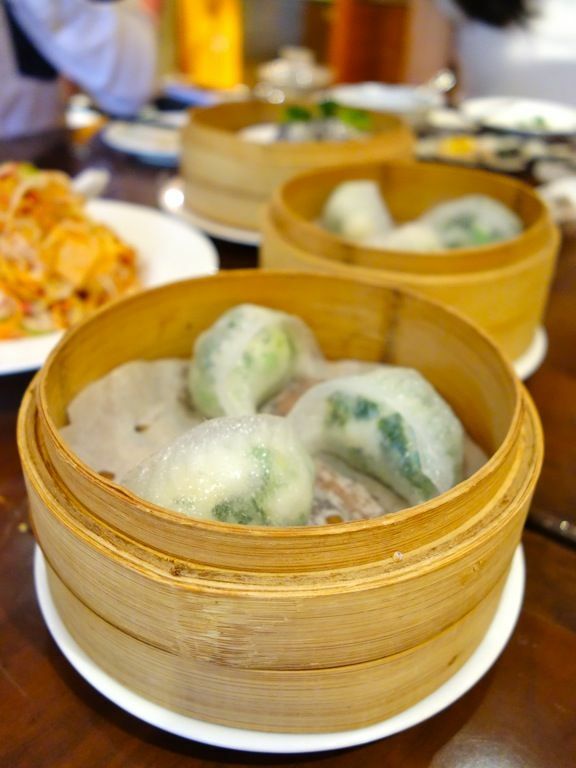 The Steamed Crystal dumpling with Prawn withstood the test of time while we snapped away and the transparent flour skin (no gluten) remained chewy and moist even after all that #cameraeatsfirst action. The prawn meat could do with a little more moisture but that could have been our fault for not eating while the food is still hot. Now now, our favorite dish in the high tea set! 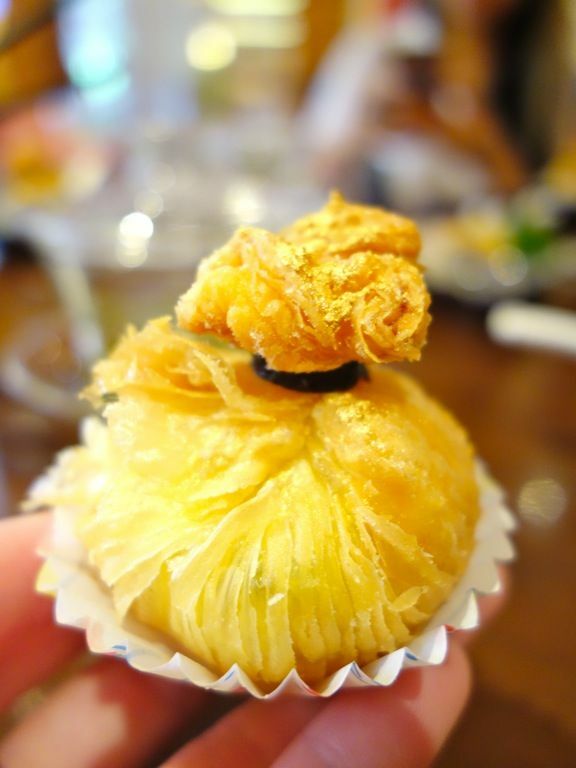 The aesthetically pleasing and tummy satisfying Deep fried crispy puff with minced prawn. Just look at all that delicate layers that is as thin as filo pastry. 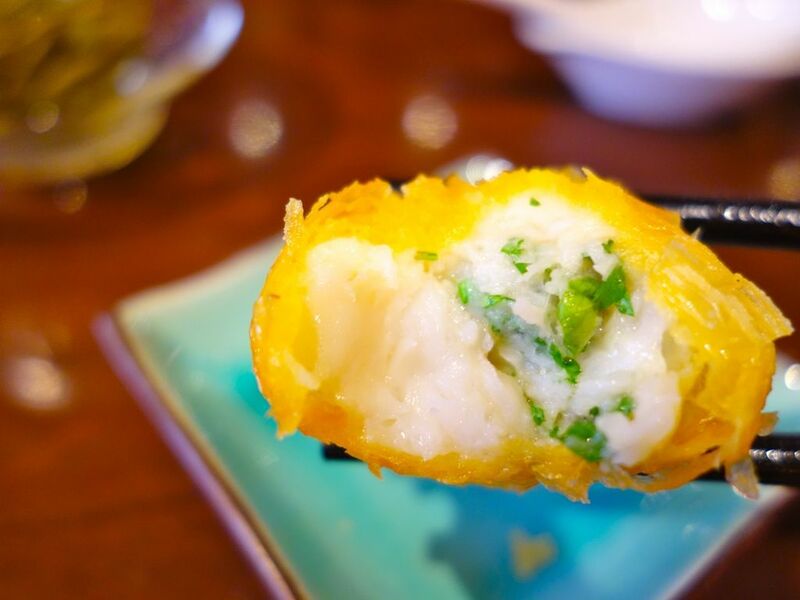 The airy and buttery layers were crispy and light and I was surprised it could hold the juicy minced prawn so well! Could we have more of this please!! 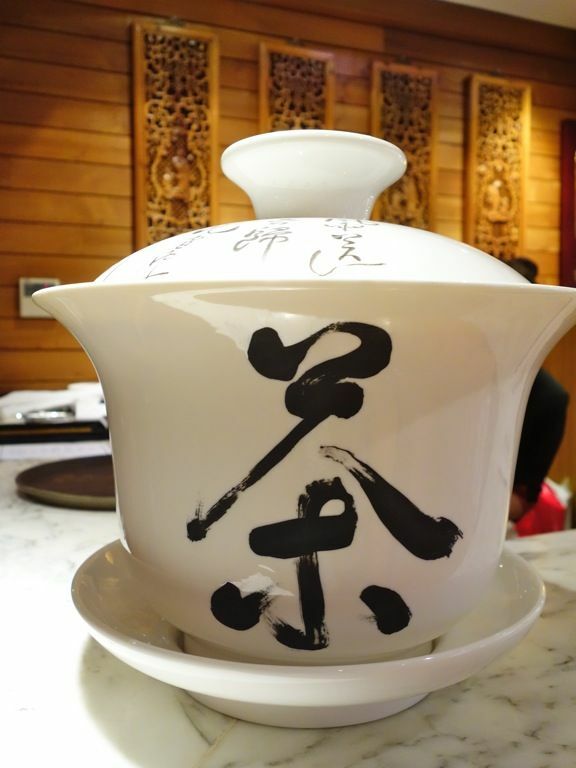 A heavier Zheng Shan Xiao Zhong (Red Tea) was served towards the end to help us digest the oilier and more carby dishes. 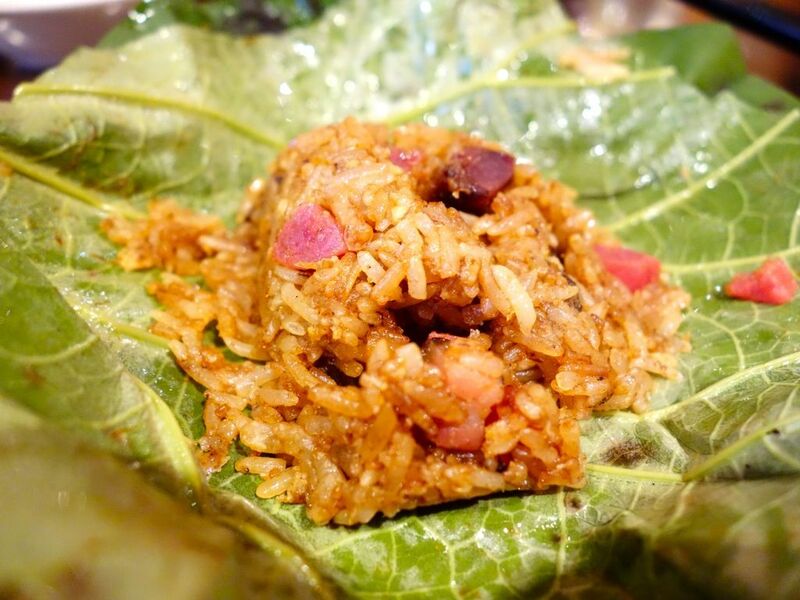 The Fried Rice with waxed meat wrapped in fresh lotus leaf was so good i couldn't help finish the whole lot. Ever tasted a juicy lup cheong? Well this is one and there were many chunks of them. I love how fluffy the rice grains were and we could taste that distinct wok hei flavor. I sure hope this goes onto the Si Chuan Dou Hua a la carte menu! I wasn't too impressed with the orange Nian gao which was styled into an ingot. 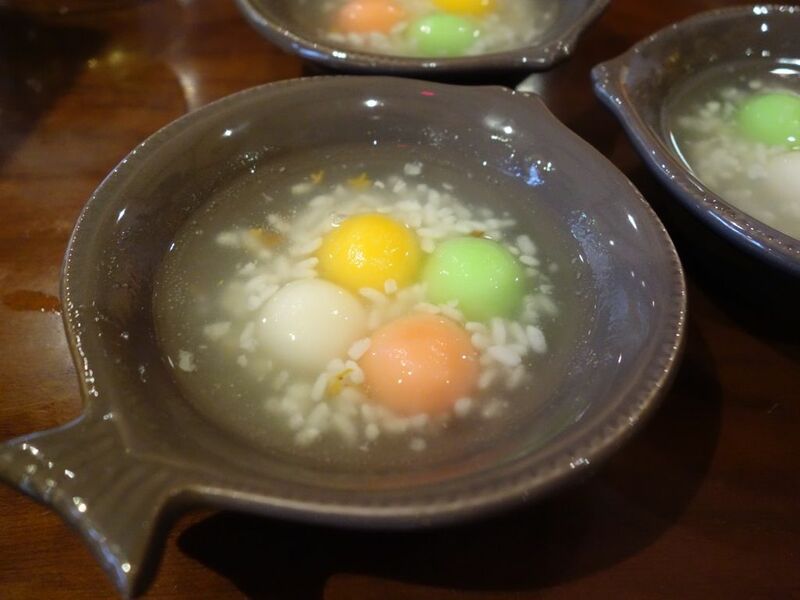 However, i was taken with the rice wine dumplings with the 甘香 flavor. The alcohol has been evaporated but it left a slightly sour flavor which was sweetened. The fermented rice grains tasted like sour grapes actually. 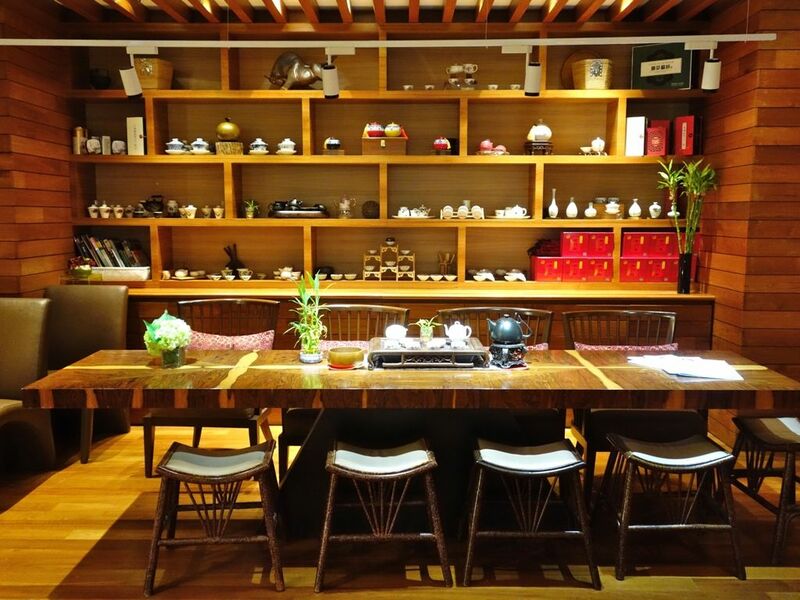 Tian Fu Tea Room is adjoined to each of the Si Chuan Dou Hua restaurants in Singapore and the high tea menu may differ slightly. The featured Reunion Imperial High Tea will be available from 18 Feb to 5 Mar 2015.